What looked on paper to be a bland, meat and potatoes kind of program (Schumann Manfred Overture, Mozart Piano Concerto No. 23, and Brahms Symphony No. 1), the Boston Symphony Orchestra under the direction of Bernard Haitink managed to make surprisingly fresh and new on Thursday. It’s hard to imagine any orchestra anywhere matching this one for lush tone, polish, and agility. And if there’s a richer sound anywhere than that of the BSO cello and viola sections playing in octaves, I’d like to hear it. Schumann’s “Overture from Music for Byron’s Manfred, Op. 115 was fervid, and intense. Written in 1848 – 49, the work is Schumann’s musical response to Byron’s poem dealing with guilt and sorrow, and has all the colorful language of storminess of Romantic literature. The orchestra has doubtless played this work more times than they can count, but it had passion, conviction, and drama. Haitink’s no muss, no fuss conducting style was clear, without a lot of unnecessary shenanigans, yet elicited roiling waves of sound from the players. Most unfortunately, just as the music was sinking to an intense pianissimo close, some audience member found this the perfect time to cough triple forte. It didn’t destroy the moment, but it was annoying. 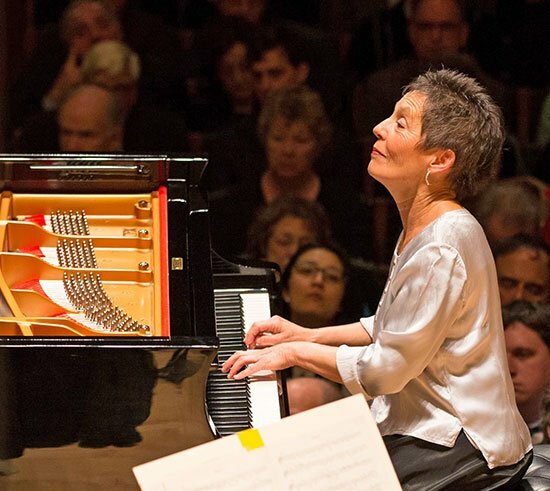 Maria João Pires then came on to play Mozart’s Piano Concerto No. 23 in A Major, K. 488. Written in 1786, while the composer was in the middle of an incredible streak of productivity (he repeatedly interrupted the composition of Le Nozze di Figaro to toss off a one act singspiel, The Impressario and a string of three piano concerti, of which this is the middle one). This beautiful, chamber music-like work featured some lovely solo winds, and delicately articulated string playing. As a whole it had the lightness and sweetness of champagne bubbles. Pires’s playing was confident, lyrical and received a well-earned standing ovation. Brahms’s ropy counterpoint, it made a surprisingly good complement to the earlier piano concerto. The real bite in the articulation of the menacing viola section interjection in the first movement, the crisp conducting of Haitink and the intense pizzicato unison section, the glorious horn section in the dramatic moments, and the exquisite concertmaster/principal horn duet, all stood out. Surely we have one of the finest horn players on the planet in James Sommerville. Overall, a glorious concert, demonstrating that even warhorses can be revelatory with the right hands pulling the reins. Goodness, what a different Haitink/BSO from what we’ve seen in the past. I remember a Brahms 1 they did the same week that Rattle and Berlin brought Brahms and Schoenberg through town– staid, correct, well-manicured. And while I don’t remember the specifics on their Philips recording, the whole cycle seemed so slow as to be unbearable at times. Tonight, however, was urgent, lucid, dramatic– all kinds of things. Is it the Nelsons influence on the players, or has Haitink changed his medication? It would be interesting for anyone who has that recording to compare times or tempi with the broadcast when that starts streaming. Anyway, it was indeed a wonderful night. The woodwind section was really super in the Mozart, even with the first string resting itself for the Brahms. And the level of detail that came out in the Brahms (and Schumann!) with the different characterizations intact was quite stunning. Not a perfect performance, but a very great one in many respects. And Pires was a real treat in the Mozart, obviously enjoying the work with the orchestra, which responded well to her. A very operatic and playful performance. Richard Goode recently did some lovely Mozart that sounded as if it were intended for a small studio. Pires spoke to the full hall, and it was wonderfully impressive. “brisk and delicate … with its pounding timpani”? Friday’s Brahms 1 was brisk and violent. Unhappily, the solo horn in the last movement brayed in a manner recalling the Stagliano era. 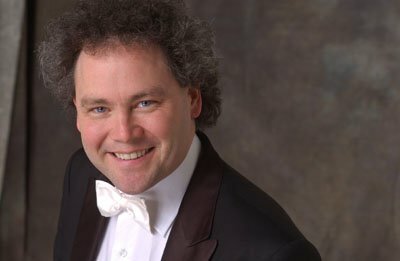 So- Anyone clear on who lost who in the 3rd Movement of The Mozart on Friday? It was a shame, because up until that point she was playing from a kind of magisterial centeredness, a composure and ease that were breathtaking. The lapse rattled her, unfortunately, as lapses sometimes will – possibly a further sign the slip had been hers. From then on her playing seemed physically tighter and less secure, with several uncharacteristic smudges. Taken as a whole, though, this was Mozart of the highest order – exhilarating, touching, and memorable for all the right reasons.